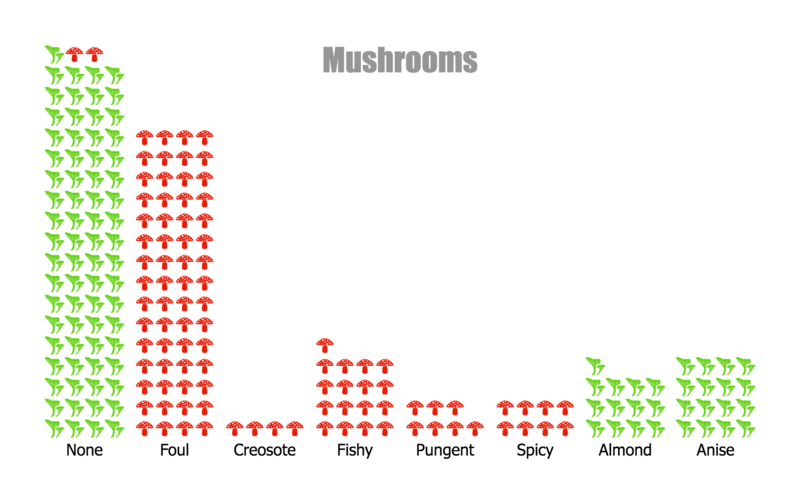 This chart displays the characteristics of mushrooms sampled from the UCI mushroom dataset. Each icon represents a single mushroom sample, colored according to whether it is poisonous. Odors are grouped along the X axis.